Welcome new friend. I am super excited you found your way here. In 2017, life threw me a punch in the form of breast cancer and my husband, Mike, suffered a heart attack. These events caused us to re-evaluate our life. 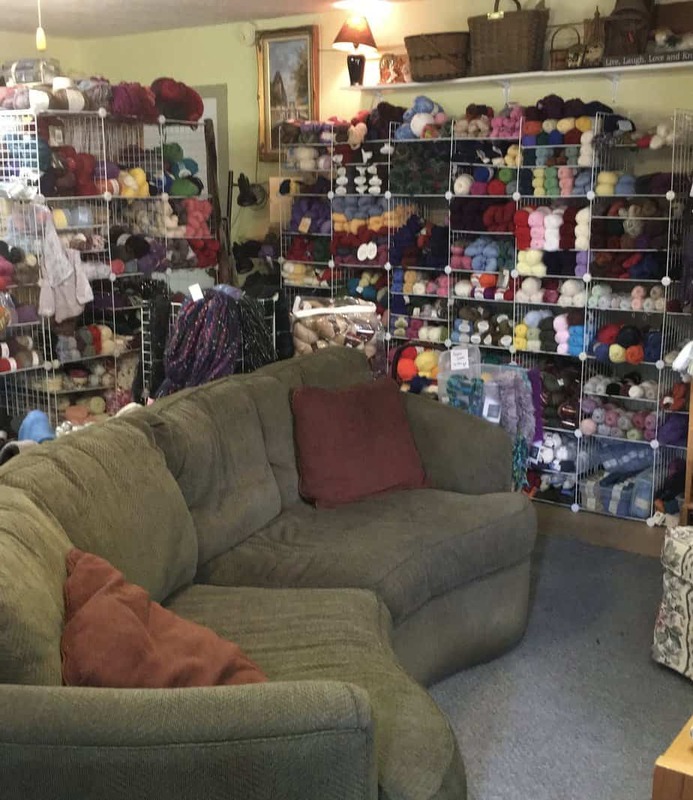 I decided to close my long time brick and mortar yarn shop-The Fiber Closet. The Fiber Closet remains an online shop. Cooking and knitting are what I enjoy most. Several knitting machines (both flatbed and circular) have found their way into my home. I enjoy taking Mike’s Ohio family recipes and my Indiana farm recipes and fusing them into the food they both can enjoy. Researching new techniques and taking classes in all sorts of fiber related and cooking venues is what I love doing. My blogs are about anything crafty (knit, crochet, art, DIY, etc. ), cooking, pets, and information on organizing, saving money, and lifestyle hacks. My newsletter provides you with handy tips and keep you up to date on what I’m doing both online and in my home life. I am a cancer survivor. My blog is for crafters and foodies of all ages. I’m here to help you create that perfect project or plan your meals. Check out my recommendations. Recommendations page was created because people always ask what I use and what do I recommend. Now, you can find great products all in one place. You can either contact me by direct email at cheryl@cherylmoreo.com or on my contact page, Get in Touch. The long-haired dachshund and the bichon frise. Every Saturday, you’ll get an email written by me just for you. I offer handy tips, provide patterns, ideas, and keep you up to date on what I’m doing both online and in my home life, and you can unsubscribe whenever you’d like. Join The Fiber Closet Facebook Group. Ask questions, share tips, and join in challenges, all in this free, private group. Follow Cheryl Moreo on Facebook, Instagram, Twitter, or Pinterest.